If you want to meet a real beauty with an awesome sense of style and a fun blog, I suggest Kristal, author of Sincerely Arizona. I am so excited to have her here on my blog today!! were her wedding photos. Since she recently had a gorgeous wedding, I asked Kristal if I could ask her some advice on wedding planning. I welcome great wedding advice since I'm getting married next year. When was your wedding date, location & how many people attended? Our wedding was Saturday, May 26th 2012. 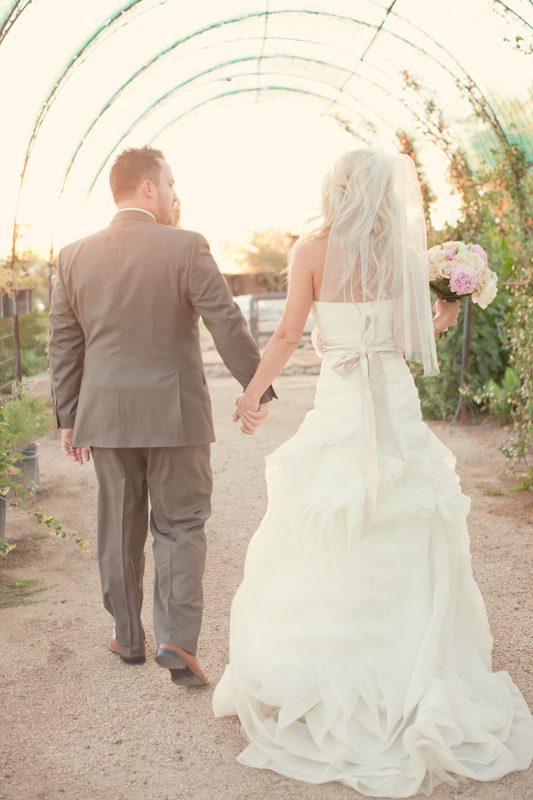 We were married at a winery in Florence, AZ (about an hour south of Phoenix.) We had 160 (incredible) guests attend our wedding. What was your dream or inspiration for the wedding? My dream was to have a celebration of our love with all of our closest friends and family. We wanted our wedding to reflect us and be intimate. We didnt want anything over the top or stuffy. Gosh, I had so much inspiration! 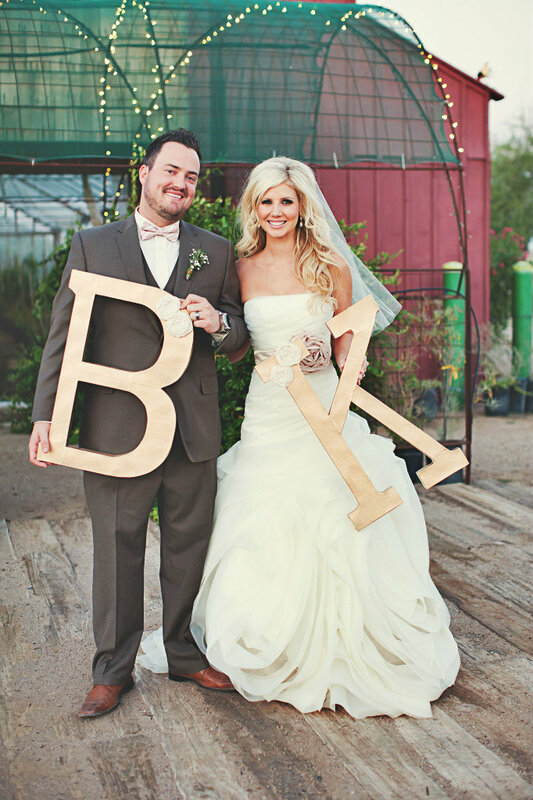 To be honest, you can definietly get caught up in inspiration overload with planning a wedding. Especially with Pinterest and blogs. I guess my main inspiration was rustic and real, I wanted cozy and true happiness to surround us. I wanted pretty things throughout the venue, I wanted the rustic wood to be complimented with sparkly chandeliers. The barn, the twinkling lights the green grass and gorgeous weather made up my dream setting. Not only did I want to look around and see beauty, I wanted to feel it. I, myself, got a little caught up in the stress of wedding planning in the beginning. How did you eliminate stress? Well I think I have a naturally laid back attitude and people always tell me I am calm, so I have that going for me! haha I think the biggest thing is to just stay organized, whatever works for you, get things organized and get a system to planning. Next, warn your future hubby that you might be more stressed during this time. To everyone around me I was fine, totally calm and great and I didnt let things get to me. But Bryce got the truth, he heard the little worries and petty things that I stressed about. He should be the one though, he is the one I am spending my life with. Men might not understand the planing and they may think we're crazy but they have a good insight and will help you keep things in perspective. Lasly but most importantly, remember how lucky you are to have found love. You get to plan and wedding and you get to have this amazing experince. Some people wait their whole lives for this so just remember to appreciate the person and the experience you are getting to have. It goes by so quickly. Picking the dress can be a huge process. How did you pick your dress out of hundreds of others!? This part was simple, I actually found a dress online WAY before we were engaged. It was my little picture of my dream dress. I smiled everytime I looked at it. Once we were engaged, I hunted for that thing, haha I researched and finally found it. It was the first dress I tried on. I feel like a lot of women say that, so my advice is go with your gut and don't over think it. You'll know when you have found it. 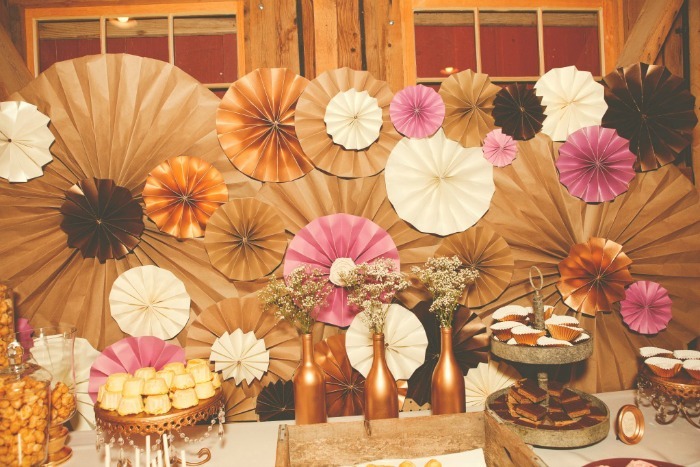 What are some ways to save some money but still make the wedding beautiful and chic? Shop around! When you see something you love, start googling it or looking on pinterest some more. Sometimes you can buy things for much lower prices or in places you wouldn't expect. Oh and if you are crafty, do stuff yourself. I did so much on my own, mainly becuase I love doing DIY stuff and also becuase it is that much more unique to you. I would also say to list out things and their importance to you. For example, I love wedding cakes and I think they are so important but I didnt want to spend a lot on ours. It was becutiful and just what I wanted but I was not about to pay thousands of dollars for cake that 1/2 the guests don't even eat. A phototgrapher on the other hand was something that is super imporatant to me. Place the money you have in the areas that mean the most to you. What was your biggest obstacle in the wedding planning process? My biggest obstacle was probably comparing, I would look at so many other weddings and get countless ideas so sometimes I had to just slow myself down and choose what I wanted and what was perfect for US. Your best words of advice or tips for those planning a wedding? It's so typical but I would say just enjoy the process. Enjoy chosing invitations, enjoy tasting cake, enjoy time with your bridesmaids, and enjoy the excitement of being engaged. That day and night will fly by, I promise you. There are no words for how fast it goes. 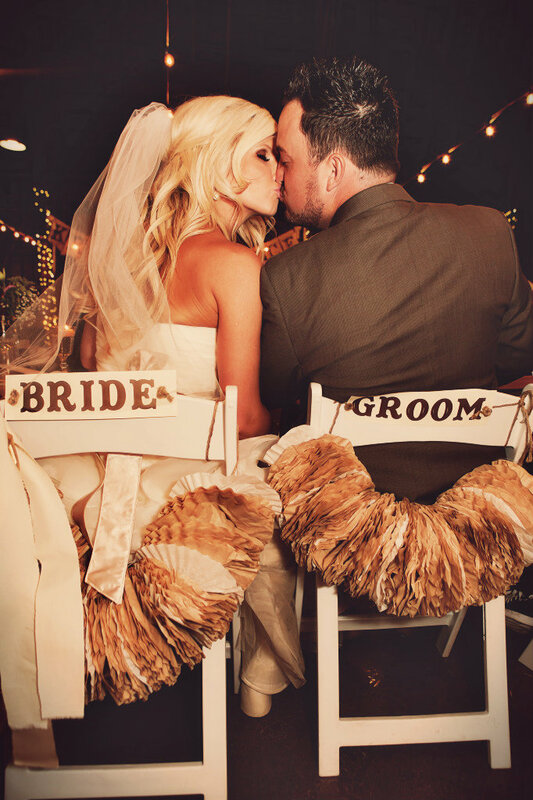 Just make sure you have everything in order and then the day of your wedding, drop it all and just take it all in. Dont worry, don't stress, dont plan anymore - just be. Be in the moment soaking up all the love and all the special moments you'll have. Looking back, what was your favorite part of the wedding? Honestly, the whole thing. All the moments are incredible. The moment walking down the isle with my Dad was amazing... take time to stop and look around as you start that walk, its increaible to see all the faces of people who love you. Take in the moment that you are walking up to you future husband, your first kiss, your first dance, etc. If you could do it all again, what would you have done differently, if anything? I wouldn't have done anything differently. It was so perfect, perfect for us and a day that I love remembering. Good luck in all the planning Lauren, it will be wonderful. Pace yourself and enjoy the next 7 months of planning. If you need anything at all, even to run a question by me, please do, I mean that - I'm here if I can help at all. Thanks Kristal. I'm soaking in this advice & looking forward to wedding planning. WOW, WOW, WOW gorgeous!!!!! Honestly your wedding was sooooooo gorgeous! I L*O*V*E it!!!! stunning. I'm having so much fun exploring your blog!!! !